Víctor Pérez-Díaz is Chairman of Analistas Socio-Políticos (ASP), Research Center, Madrid, which he founded in 1993. Born in Madrid (Spain), December 8, 1938. Ph.D. Sociology, Harvard University (1976); and M.A. in Sociology (1975). Ph.D. Law, Complutense University, Madrid (1977) (and M.A. in Law, 1960). Ph.D. Sociology, Complutense University, Madrid (1977), and M.A. in Political Science, Complutense University, Madrid (1977). Chairman of Analistas Socio-Políticos, Research Center, Madrid. ASP is a private research center and think tank, founded in 1993. Its main areas of interest are civil society and the public space, European integration and regional development, as well as politics and public policy in a variety of fields (political economy, welfare reform and family studies, education, environment and water policy, and others). Visiting Professor at Harvard University (1992/93), the Massachusetts Institute of Technology (1988/89; 1989/90) and the University of California at San Diego(1983/84, 1987/88, 1991/92, 1992/93, and 1993/94). Hans Speier Visiting Professor at the New School University (New School for Social Research) of New York (1999/2000); and King Juan Carlos I of Spain Visiting Professor at New York University (2000/01). Fellow Member at the Institute for Advanced Study of Princeton (1975/76). Visiting Scholar at the Center for European Studies at Harvard (1992/93; 2006). Teaching Fellow in Sociology and in Social Studies, Harvard University (1972-1975), and Associate to the Center for European Studies at Harvard (1971-1975; Stanley Hoffmann, director). Visiting Research Professor at the Wissenschaftszentrum Berlin für Sozialforschung (2005). Visiting Professor, Institut des Sciences Politiques, Paris (1995). Directeur d́Études Associé, École des Hautes Études en Sciences Sociales, Paris (1978; Pierre Bourdieu, director). Chercheur, Centre de Sociologie Européenne, Paris (1964; Raymond Aron). Professor (Catedrático) of Sociology, Complutense University, Madrid (1980-2009). Visiting Professor, Universitat Pompeu Fabra, Barcelona (1994/95; 1996/97). Associate Professor of Sociology at the University of Zaragoza (1979/80) and the Complutense University, Madrid (1976-1979). 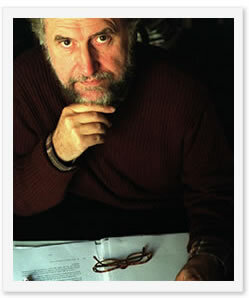 Founding-Director of the Center for Advanced Studies in the Social Sciences (CEACS) at the Juan March Institute, Madrid (1987-1992). Director of the Social Science Research Department at the FIES Foundation, Madrid (1979-1986). Director of the Social Studies Department at the INI Foundation, Madrid (1977-1980). Director of the Department of Social and Economic Studies at the Institute for Vocational Training of the Spanish Ministry of Labor (1967-1970). Researcher at the Department of Studies of Spain’s Higher Commission for Economic Planning (1962-1967). Panel member, European Research Council Consolidator Grants (Social Sciences and Humanities domain) (2014). Committee on Western Europe, Social Science Research Council, New York (1983-1989). Group of Experts, Directorate-General of Social Policy, European Commission, and Global Committee on the FAST Program, Directorate-General of Research and Technology, European Commission (1991-1993). Member of different European Research Projects, such as CiSoNet (Civil Society Network, Wissenschaftszentrum Berlin), CINEFOGO (Roskilde University), SOCO Program (Institute for Human Sciences, Vienna) and the European Observatory on the Social Situation, Social Cohesion, Trust and Participation (Aberdeen Centre for European Social Research). Member of the Scientific Council of Réseau européen d'analyse des sociétés politiques (REASOPO), Paris (2008-). Member of the International Advisory Committee to the International Encyclopedia of Civil Society (2007-). Member of the Academic Advisory Board of the Community of Democracies (AAB/CD) (2011-). President, Spanish Government Committee on the Sustainability Factor of the Public Pensions System(2013). Commission on Unemployment Policy reporting to the Spanish Parliament (1988). Commission on Corporate Governance (“Olivencia Code” Report to the Spanish Government, 1999), and Commission on Corporate Governance (“Aldama Code” Report to the Comisión Nacional del Mercado de Valores, 2001). National Commission on Health, Ministry of Health (1996-2004; 2012-). Advisory Committee on Social Science Research, Ministry of Education (1984-1987). Advisory Commission, Ministry of Defense (1998). Advisory Council, Centro de Investigaciones Sociológicas (2010-). Advisory Committee of the Real Instituto Elcano de Estudios Internacionales (2002-). Board of Trustees of the Caixa Galicia Foundation (1998-2000). Advisory Council of FUNCAS (Fundación de las Cajas de Ahorros) (2011-). Advisory Commission, Fundación Rafael de Pino (2013-). Board of Trusteees of the Nebrija University (2012-). Academic Council, Instituto Atlántico de Gobierno (2015-). Senate of CEDE (Confederación de Empresarios y Directivos de España) (2013-). International Advisory Board of Uría & Menéndez (law firm) (1996-2004). International Advisory Committee of REPSOL (1993-1996). Advisory Group on Public Policy of UNESPA (Union of Spanish Insurer Associations) (2008-2013). Editorial Board of PRISA (publisher of El País) (1990-2010). Editorial Committee of Expansión (an economic newspaper) (1994-2000; 2005-2011). Advisor to the President of GRUPO 16 (publisher of Cambio 16 and Diario 16) (1986-1987). Honorary Member of the American Academy of Arts and Sciences (2006-). Founding Member of the Academia Europaea (1988-). Member of the Juries for the following prizes: Príncipe de Asturias in Social Sciences (1989-1996), Adolphe Bentinck (1993-2000), Salvador de Madariaga (1999), Fernando Abril Martorell (1999), Libre Empresa (Fundación Rafael del Pino; 2004-), Empresa y Sociedad Civil (2003), and Reino de España a la Trayectoria Empresarial (2014-). National Prize of Sociology and Political Sciences (2014), Centro de Investigaciones Sociológicas. Jovellanos International Prize (2010), for the book Universidad, ciudadanos y nómadas. Libre Empresa Prize (2002), for the book Una interpretación liberal del futuro de España. Círculo de Empresarios Prize (1995), for the book La política del agua en España. International Sociology, Theory and Society, West European Politics, South European Society and Politics, Critique Internationale, La Revue Tocqueville, Stato e Mercato. Papeles de Economía, Revista de Investigaciones Sociológicas, Revista de Investigaciones Regionales, Políticas Públicas, Agricultura y Sociedad, Estudios Agro-Sociales, CEACS Estudios/Working papers, and ASP Research Papers.